Samsung’s newest flagship phone, the Samsung Galaxy S3, is probably the hottest gadget today after it launched in the first week of May. A lot of people are looking forward to purchasing this phone, especially after reading about several good reviews online. As for me, I just got one for myself. While Galaxy S3 is enjoying its limelight now, the back of mind for some people is still wondering on what Apple will have in store for us in the coming months. Rumor has it that the new Apple handset may launch in October same as last year. Is Apple feeling the pressure? 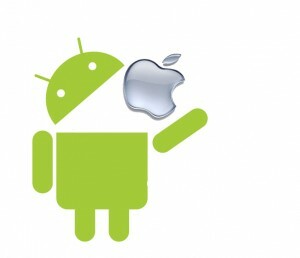 Well, perhaps the Cupertino-based company may feel pressured not to let Android further extend its market share lead. Knowing Apple, it’s more likely that they will use their product innovation as a means to turn the supposed pressure on them back to its competitors. But will the old trick still work this time? We’ve heard of news on possible increase to the smartphone’s screen size, but what else? Will it come with LTE, and if so, will it work in the Philippines? Will Siri finally function in other countries as perfect as it is in the US? Samsung has been successful in regaining its lead from Apple in the first quarter partly because they sell different screen sizes – from 2.8 inches to 5.3 inches – in several Samsung models. Apple, on the other hand, has been complacent in offering one iPhone with the same 3.5 inches screen size. Obviously, people want more options, and Apple is not giving that. From a consumer’s perspective, for me it’s a mix of the screen size, operating system, applications available in the market, extent of product line, and the quality of the phone itself. For example, Nokia has been number one for the longest time, because of their extensive line up of phone models. However, at some point, people were looking for a faster hardware, a better operating system, more applications, bigger screen size – which they started to lack (at least the Lumia series is trying to solve this now). Similarly, BlackBerry had the advantage in terms of communication features (BBM, push email, etc.) and hardware design (great QWERTY keypads), but lacks the screen size, applications, and new innovations that will make consumers want to buy a BlackBerry smartphone. Meanwhile, Apple may have the qualities or features mentioned above, but it lacks in screen size and again, variety. Fortunately, Samsung had that brilliant strategy to mix all the things the consumers wanted. Voila, they’ve got the perfect formula – it works, and now they’re on top. With new smartphones coming out soon, it’s exciting to see how the competition will change. Let’s be on the lookout for what’s new and what’s hot. Till then, catch me on Twitter @GlennOng. I'm a Samsung smartphone and tablet user, pero gusto ko pa din magkaroon ng Apple ahhah. Pero Samsung's tech always lead, bigger screen and lots of add ons, I'm sure Apple will create a new tech trend to beat Samsung. Dalian lang nila, kasi LTE will be common na in all countries.